The streets of Midtown Manhattan are never more alive than during the holiday season, when they’re laced with strings of lights and bustling with package-laden shoppers. As a guest at 48LEX, you’re in the perfect position to take full advantage of the festivities. 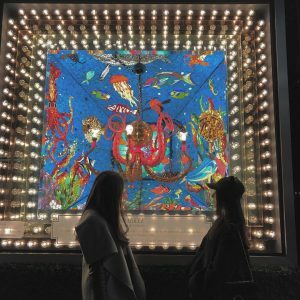 The city’s most glamorous holiday window displays, gilding the windows of world-famous department stores, are all within easy walking distance. To make the most of your Christmas season, check out these festive spectacles. Barneys New York 660 Madison Ave. 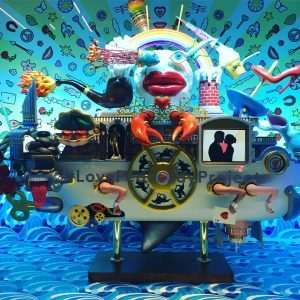 This year, Barneys is bringing the world something it desperately needs: the “Love Peace Joy Project.” No ordinary window display, this holiday project brings together a diverse range of artists, and the result — on display through January 3 — is life-affirming and breathtaking. In one window, artist Nick Cave, encouraging us to live without judgment, presents his signature Soundsuits, which conceal all the identity markers a person in usually judged by in favor of colorful, over-the-top costumes that truly defy categorization. If that’s too heavy for your afternoon window shopping, head down to Barneys’ southern window for a South Park display, created by the show’s famed voice-actors. Lord & Taylor 424 5th Ave.
For a dose of whimsy and romance, head to the display at Lord & Taylor. 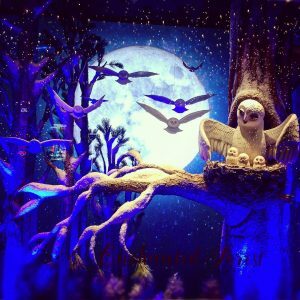 It took the store nine months to create this year’s display, an “Enchanted Forest” with 34 hand-sculpted animals in the windows and more than 9,000 feet of sparkling lights and leafy vines on the building’s exterior. With five huge windows housing mischievous raccoons and sleeping foxes, this winter idyll will show you the Christmas season with a child’s wonder. Catch it before January 5. Bloomingdale’s windows this year revolve around a simple theme: light. 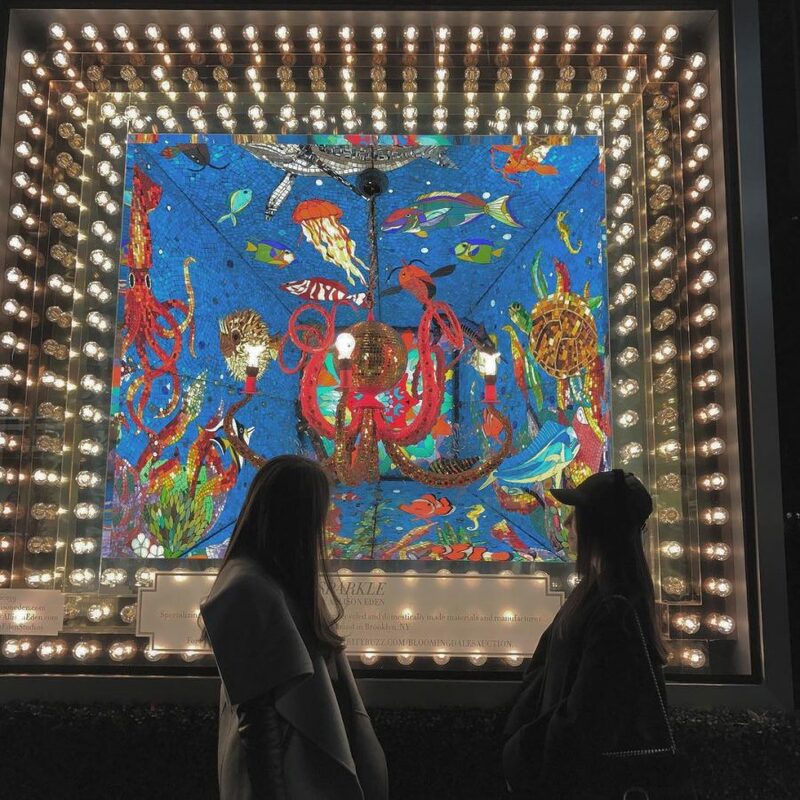 The windows on 3rd Ave are decked with one-of-a-kind chandeliers, hand-crafted by a range of artists. After the holidays, Bloomingdale’s will auction off the chandeliers to raise funds for the Child Mind Institute, which helps children with learning disabilities. Macy’s 151 W. 34th St.
From the Thanksgiving Day Parade — the official kick-off of the holiday season — to the 140-year holiday window display tradition, Macy’s may just be the best place to get in the holiday spirit. And with 15,000 people passing these famous windows every hour, it might be the most popular, too. This year’s display, “Believe in Magic,” tells a classic story with a modern twist. Two interactive windows house an LED Christmas tree and a pinball-like game to measure your holiday spirit. You can also catch Santa in his communication center, recording wishes from around the world. 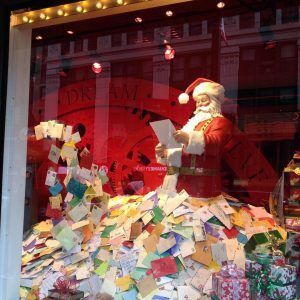 Go to Herald Square before January 2 to experience the magic.